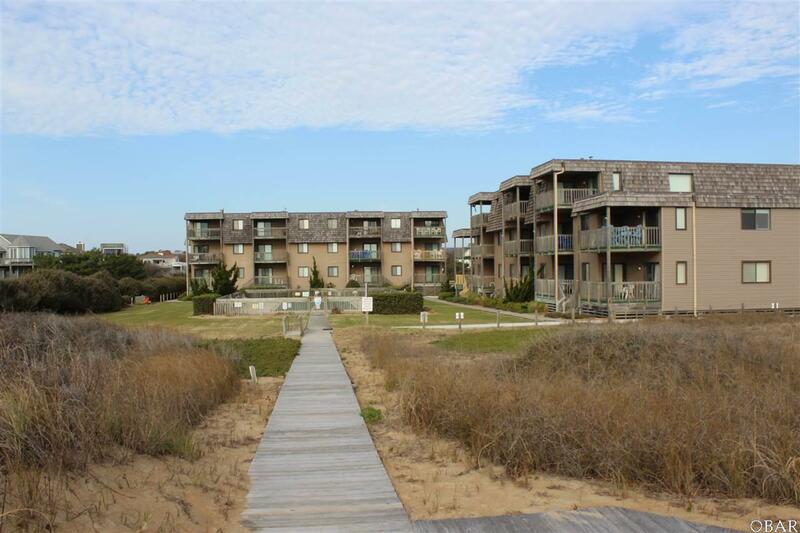 Oceanfront Condo with Great Ocean Views in the desirable Beach Town of Duck!!! Located on the 2nd Floor, This 3 Bedroom, 2 Bath Condo has had recent upgrades including Tiled Master Shower, New Mattresses, and New Deck Furniture. Enjoy the Ocean Views from the Living Room, Master Bedroom, and Covered Deck. There is also a Screened Porch to enjoy Sunset Skies of the Outer Banks. Fireplace and Wet Bar in Living Room. Duck Blind Villas is situated on a large parcel of Oceanfront Property with abundant Grass areas for pets, Inground Community Pool, a Boardwalk to the Beach, Ocean Dunetop Deck, and Outdoor Shower for use after a day at the beach. SOLD Fully Furnished!!! Close to Duck's numerous Shoppes, Restaurants, Town of Duck Amphitheater, and so much more. Listing courtesy of Pamela Graham of Buy The Beach Realty.